App Builder Appy Pie: Creating a website with Appy Pie is super easy and you can do all that needs to be done for domain registration, designing the website, and getting it hosted, on Appy Pie’s website builder and you do not even need to have any programming or coding skills and knowledge for it! This is a competitive world however, and even if you have a brilliant website ready to offer to the users, if you do not promote it well, no one would even know of its existence, hence missing out on this brilliant thing you made! This means you would not have as many online visitors as you would like, thus defeating the real purpose of creating a website. Most of the people create a website for their business, to add a marketing channel or to add another revenue channel, and both those objectives can only get realized if people actually visit your website, and that can happen only when they are actually aware of you. Remember, just because you have launched your website on the internet, does not mean that everyone would make a beeline for it and go crazy about it! It is your responsibility to make people aware of your website and promote it, so that the right kind of people end up on your website. Now, there are many ways in which this can be done, but quite a few of them have a sizeable price tag attached to it! However, there are some ways in which you can spread the word about your brand-new website which are available for free! Appy Pie, through its intense experience of working with websites and expertise with promoting these websites has brought forth a competitive list of ways in which you can promote your website for free. It has been quite a while that SEO or search engine optimization has been in the news and the fact that till date it has ample buzz around it indicates that it is not just a buzz word! There is enough merit in it to gain the top rank when the industry experts list down measures to promote your website for free! Today, SEO is one of the most effective ways to enhance your website’s ranking on Google and other search engines for free. Since, it is free, the playfield is level, and the competition is immense. Factors like the quality of your content, the flow of navigation offered to the visitors on your website, and the number of links that you receive from the outside. Apart from these key measures, there are still other ways in which you can raise your SEO quotient. One of these methods is by strategically using certain keywords and phrases all through the website so that the search engines rank you higher for those search strings. Additionally, you can also make use of techniques like adding al text to your images and suitably optimizing the headings making your website easily discoverable and searchable by the right audience through various search engines. SEO is far from simple, and takes a little time, patience, and has a learning curve, but if you are perseverant enough, it can become one of the handiest tools in your kit. There are times when people, especially the novices, tend to dismiss email marketing as an older, outdated medium of marketing. However, industry veterans and experts know the value and worth of this powerful medium and rank it really high when it comes to driving traffic to a website. This let us assure is no old wives’ tale or a vague airy concept but has in fact been proven time an again in a variety of contexts. Many people have found ways to make a quick return and boost on the website by sending out a random newsletter. However, when you are serious about unleashing the real power of email marketing you would want to do this just right. This means that you would have to draft this mailer or newsletter with great care for the maximum effect, and achieving that is almost an art form, especially if you want them to land directly in your client’s primary mail tab!. The content of your newsletter or your emailer must be punchy, must have clear call to action (CTA) buttons, and should have a compelling tonality so that your readers are motivated to take action on it. It is this care and creativity that is going to separate you from the thousands of other emails that end up in your clients’ inbox and clutter them up! There has to be a defining difference between the newsletter you are sending to your clients and the myriad others that they might have subscribed for. Do you still think social media is just for making new friends, networking, or maybe hooking up? Well, you certainly have been living under the rock, my friend! Social media has an inherent ability built into it that lets anyone reach out to exactly the kind of people they want to. This means the possibility and scope of you being able to reach out to your target market is huge! So, next time you are tired of friends showing off their kids’ newest doodle on a tissue, or a colleague flaunting the latest trip to the Great Barrier Reef, or a cousin snapping up a picture of the awesome cake they baked, think about what more you can achieve from this powerful tool! Today, creating a social media account for your business, and leveraging it to establish a connection and a relationship with the customers has emerged as one of the most effective ways to promote a website. When you interact with your customers through social media, it all happens in real time, where you can pose questions, request for a feedback, and draw almost an instant response from your customers, thus getting an instant result! Building social media accounts on a number of different platforms gives the businesses as many avenues for advertising their website to the right kind of businesses on multiple channels. Building a Facebook Page, LinkedIn Account, Google+ Page, a Twitter handle, or Instagram account provides you with free listing opportunities with an added bonus of really high Google search rankings. You can have your own business page on all these channels which can then be linked to your personal profiles on these social media channels and promote your website for free. As someone who has been in the business for some time now, and is now launching their own business website, you must be aware of exactly who you are building the website for, i.e. your target market, leveraging social media would give you a tool or a platform to reach that market and earn revenue from them eventually by forging meaningful relationships. The key here lies in engaging with your audience regularly and give them enough impetus to begin sharing your content which will serve as free promotion for your website. Cross promotion is also key here. So that content from your Instagram feed finds place on your Twitter account and your latest blog is also exposed to your Facebook fans. Additionally, make sure that you add a social bar to your website, letting your users find your social media profiles right from within your website. Have you paid attention to some of the leading business today, they all have their own blogs and are making fabulous use of it! Trust us when we say this is not just because we have one, but yeah, we have realized the kind of benefits it has brought a lot of businesses, including us! When you develop a blog with quality, unique content on it, you have the ability of improving the overall search engine rankings of your website. In addition to this when you have a blog of your own, you stand to rise up to the position of a revered expert in the field that you choose to write about and both these factors can come together to bring about a great improvement in the overall conversion rate for your website. There is a hidden advantage of maintaining a blog to complement your website. When you begin writing articles for your blog, you would definitely have to indulge in some market research. This will not only broaden your knowledge base, but even help you enhance your professional skills. This blog once created can then be connected to your website. One thing to remember here is that the writing prowess need not be the focus of the blog, it simply needs to have a certain relativity for anyone from the beginner to expert without being too simplistic or way too complicated. The important thing here is to begin with your blog first and then go on working on it to improve with time and experience. Now that you have already built your own blog, it is time to get more creative. 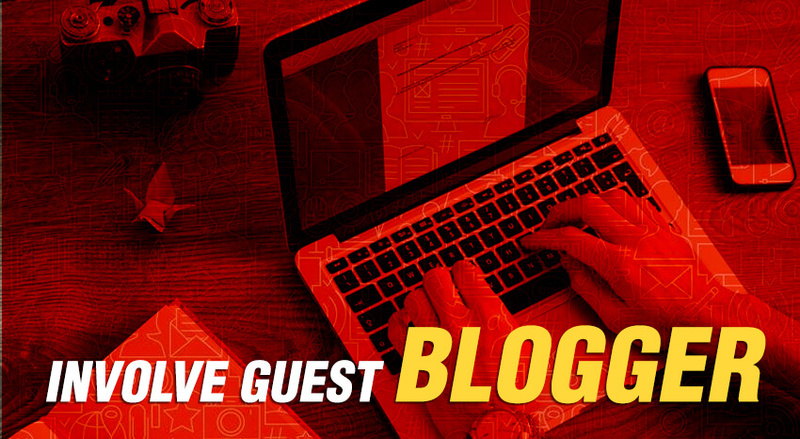 One of the most effective ways to get creative with increasing traffic is by inviting a guest blogger to make contribution to your thriving blog. When you invite a guest blogger, you are creating a situation that is equally lucrative and beneficial to both the parties involved. When a guest blogger of your industry or a related industry with the right kind of following or fan base decides to write for your blog, they are in fact letting you dive into the network that they have painstakingly established, thus offering you a precious opportunity to generate some valuable leads for your business. Apart from this, when you invite guest bloggers and give them their due, you are taking steps to build relationships with key people in the industry and thereby carefully forging a robust and relevant network. In these relationships, both the parties get exposure, traffic, and recognition or shares on the social media, which means that it is a win-win situation! While you are inviting people to write guest blog posts on your blog, it is imperative that you scour opportunities for yourself and become a guest blogger yourself. Write articles that may be published on other platforms or blogs. This would bring you immense benefits in terms of SEO as your links appear on external pages. In addition to this obvious advantage, you also get exposed to a new audience, and you get an opportunity to enhance your writing skills as you attempt writing for a whole new format. The brand image or the potential for brand recognition plays an important part in your ability to promote your website. The brand image that you build for your company is exactly how your company is going to be recognized by people. It is important that you invest an appropriate amount of time in building a strong brand image and develop among your audience a robust brand recognition. The idea here is that the brand must be easy to recognize and being attractive enough to garner the right kind of attention from the prospective visitors or clients. There are a number of ways to achieve this brand recognition that we are talking about starting from social media marketing, to signing your emails, sending out text messages, or creating forums that would include your website URL. These methods would not only increase brand awareness while establishing your brand image and strengthening your brand recognition while encouraging people to click on your URL. If you do decide to include your URLs in the text messages or any other mobile advertising channels or platforms as an effort to establish your brand image & recognition, it is imperative that your website is responsive and mobile friendly. The whole plan of branding for your website app and the promotion of your website needs to be designed cohesively with one supporting the other, because accomplishing any one of this, in isolation is impossible, redundant to an extent. The search engines play a very important role in the way you are going to promote the website, because this is where most of the people, even your prospective or targeted customers would come across your business. It is on one of the many search engines where people go looking for a certain business, vendor, service, or product. Hence, one of the simplest ways to get started with getting some traffic to your website is with the help of search engines. This can be done by submitting new content to one or more of the many search engine directories including Google, Yahoo!, Bing, and more. This would let your websites and the content within to be indexed by these search engines. Some of the major search engines let you do this for free and do not charge anything for this service, and you can also go ahead and acquire this service from some of the not so big search engine directories as well. Once you begin adding a lot of fresh content on a weekly basis, indexing is one of the first things that you would need to do if you were looking to promote your website. This, in fact is a whole lot more expansive than just being the point number 8 here, and probably deserves a whole blog for it. The one most important thing to remember here is that not all the marketing channels have the ability to operate at the same speed, and each of t hem have their own unique strengths & weaknesses, hence are used in totally different ways. The idea here is to use them in the best possible combination where they complement and supplement each other. While you might be delighted with the website that you have created or your brand new online business model, but did you even once stop to think about the fact that no one might actually be interested in it! There are often times when we commit the mistake of making assumptions on the behalf of the audiences we plan to target and cater to. Hence, it is important that you get some validation before going into a full-fledged promotion plan for your website with ads, emailers, and getting into the SEO. You can begin by asking for feedback from a small group of targeted users. You should choose these users from among those who belong to the niche you may be targeting, and might be interested in collaborating with you, or even promote your website for you. These might be your Friends & Family, Individual Brands or Influencers, Individual Bloggers or Site Owners, Journalists, Allied Business Owners, or even Vendors. This is logically the extension of the prior step as you try and expand your efforts of direct promotion where you go ahead and find bigger groups of individuals or as we call it involving the communities. Communities are rich sources of constructive criticism or feedback while opening up a creak of a window for you to make a sale even! No matter which industry you are a part of, there are always some relevant forums or communities for it. This is the time to dig them all out, find the ones that are most relevant and buzzing with activity, and get involved in it or them! Facebook is the biggest melting pot today and everyone today is on it! Everything that is going on today in the real world, is also being discussed quite vocally on the social media and Facebook is the most populated one there. There is a Facebook Group for any and everything under the Sun, and most of them are quite active. When used in the right manner, these groups can prove to be great when it comes to building an organic presence on Facebook, especially in the light of the fact that the organic reach for business newsfeed is practically non-existent. Did you really think that the Website Forums were all wiped off of the face of the online realm? They still exist and are thriving quite impressively in fact. The thing is just because it has been around for a long time, it does not mean that it is outdated or irrelevant. The website forums can actually prove to be an extremely powerful technique for you when you are setting out to promote your website. You do need to delve deep into research and then get in touch with the moderators for inclusion. Blogs have a certain charm about them and people tend to put their trust in them a little more readily than anything commercial. This is mostly due to the fact that they do not seem to be motivated purely by commercial reasons. They are candid, they are friendly, and they can be of great help to you as well! Set up relevant alerts, either through Google or by way of RSS feeds, so that you can become a part of and get involved in relevant discussions that are taking place on blogs that enjoy a high traffic. Reddit has often been regarded as the largest general forum in the world, but that should not prevent you from thinking any less of the other options like Kickstarter or Pinterest as anything less valuable than a forum. The idea is to figure out which forum would your target customers prefer to frequent. The point is not which forum you would want or the platform that is more reputable, the idea however is to consider what kind of people you want to focus on, and where do they hangout. Amazon arguably is the biggest e-retailer today and there is an entire forum alive, active, and thriving over here! In fact the section “Questions about this product” is the perfect spot for you to hang around about. There even are discussion sections on the Amazon products. These areas on the website have immense amount of traffic and if you are smart enough to leverage it, you have the opportunity to piggyback on this traffic as well! On Amazon, go looking for products that are complementary either to your product line or services or any other offerings you might have. Put your expertise to good use here and answer all the questions that your target consumers may have. This is in a way similar to those crowdsourced forums that we spoke about earlier, but the context is that of B2B & vendor relationships. The internet is THE place where all the discussions happen today and everything, right from LinkedIn to Slack, to IRC or Pulse are open to varying levels of such discussions. These platforms become spaces for people to come together and connect. Figure out where these people that you want to connect with are and how they talk or what they discuss. Every single person has diverse interests and so does the audience that you are targeting. Hence, it is important that you make yourself aware of the high traffic blogs that they frequent, apart from the ones in your own industry. Explore the guest post requirements and make your way on to it. Figure out which are the landing pages or pieces of content are performing the best in accordance with the goals you have set. Figure out how the best performing landing pages can be optimized and using prior findings to enhance the content that isn’t performing so well. Figure out which ad copy works the best. So, you have something new to offer and want to spread the word about it. What do you think you are going to do about it? The best way to go about it is, writing a brilliant news release and submit them on PR service sites like PRNewswire or Business Wire, from where it will be picked by all the main media outlets. This however, does come with a hefty price tag attached to it. However, there are PR service sites like PR.com, PR Log, & I-Newswire where you can avail free fundamental press release submittal services. Though the major media houses may not pick much from here, but you stand to benefit heavily from the middle tier media outlet market and that too for free! There are a number of free company rosters available for you to take advantage of and they are easily accessible. There are tons of websites that would let you list your business or your website for no charge at all. Though the premium versions with more lucrative features might need you to cough up some money, but the most basic versions that would let you put your website link would be free of charge for most! This means that not only the chances of you being discovered by targeted users is higher, but the backlink method would ensure that you get a higher discoverability on various search engines as well. These websites can essentially become your free advertising spaces. If the website you are promoting is linked to a physical brick and mortar store then getting listed in the local directories is one of the smartest things you can do! 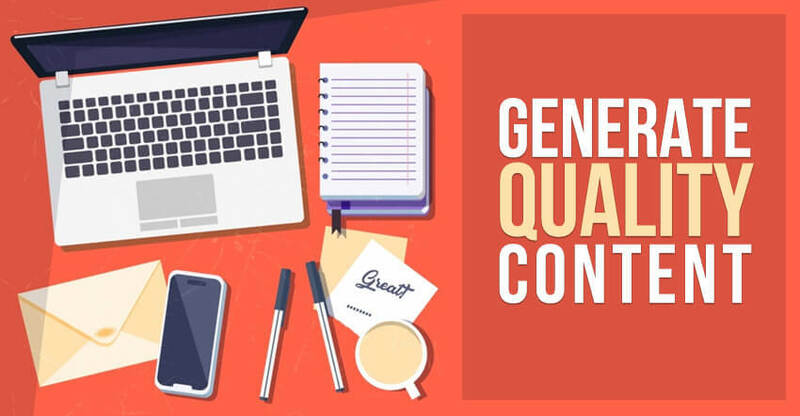 Content is supreme today and with the kind of competition we have around us, it is important that any and all content that you push out there must be of a good quality. Imagine that you went to this great looking café and ordered your favorite coffee only to find it annoyingly watered down, what are the odds that you return to them. This is exactly what will happen if you were to divert your attention from the quality of content that you are offering to your visitors. Whether you are creating content for advertising or for promoting your website, the focus should be on maintaining a consistently high quality. Pay attention to very little detail and lean always towards quality over quantity, and you would be able to garner better returns for your business in the longer run. When we talked earlier about getting your business or more specifically your business website listed in online directories, we talked about the advantage of free online listings. However, to fortify your local customer base and gain new local audience, it is a great idea to submit your website to Google Local Business. Doing this would open up a world of resource for you as Google would provide you with plethora of ideas to promote your website and actually let you and every other business register all their information for no charge! Now, doesn’t that sound like something you could really benefit from? The real advantage of doing this, is that Google even lets you add pictures, include carefully crafted promotional offers, and even lets you submit your own mobile ads. What makes Google Local Business Page an absolute delight is how all your business information is displayed for the audiences. What happens here is that all your information is displayed right at the top, above all the remaining normal search result information. This means that your website and your business receive a larger online presence. 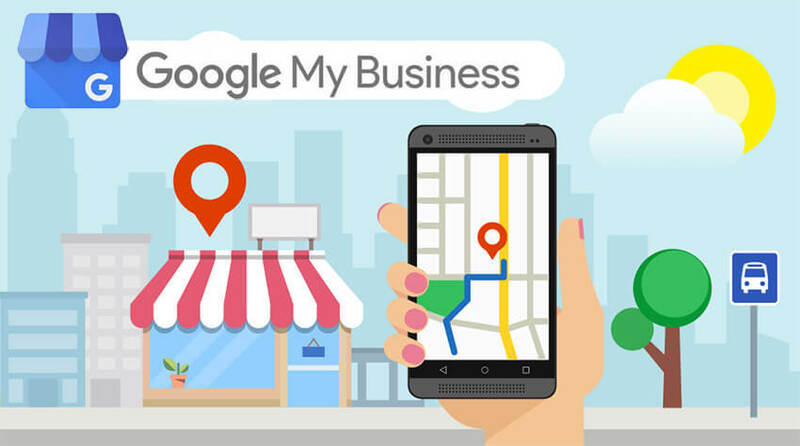 Once you have listed your business website with Google Local Business, Google takes it upon themselves to offer the visitors step by step directions to your place of business and even allow the prospective customers to make a call right from the browser on their mobile device. Getting your website higher up in the visibility when people come looking for answers on the search engines is to let the search engines understand that your website is trusted. To get the search engines to believe and put their trust in your website, one of the most crucial things to do is have other websites link to yours. When you are looking to promote your website on the search engines there are a number of things that you can do and some of them have already been talked about in different contexts on this very article. Guest blogging, forum posting, link exchange, and news articles. Now while linking your site to numerous other websites is going to help you, but if a good number of these websites are lower in their search engine rankings and are of low quality, it is going to bring you more harm than do you any good at all! It is only when your website is linked to the higher-ranking websites that have some authority in the realm that the search engines you are targeting would bear you any kind of favor or reward in the form of a higher search engine ranking. Your intent should be to focus on only those links that would have any fathomable relevance to the readers who are visiting your website, also due attention must be paid to the use of high quality keywords or phrases if you are looking to gain a link. In the world of SEO, the inbound links play a great role and have a strong significance when it comes to bearing positive results, but it is also important that you exercise caution while creating them. If you get carried away and introduce too many of them, there is a high possibility that your website might get banned from the reputable search engines. The idea is to take it slowly but steadily, especially when you are working towards creation of quality inbound links to your website. To say that there is a world of information available on the web or internet might be one of the biggest understatements to make. What makes it even more interesting is that it is all available for free! However, in spite of all this free information available online, most of us have a tendency to pick a couple of favored blogs or news websites that we end up haunting regularly to get the latest information, updates, or an idea about all that has been going on in the areas that concern us. These areas that we are concerned about maybe anything from technology to business, politics to recipes, fashion advice to health updates. This is a natural tendency and you might not be the only one who follows this practice. On most of the blogs today, there is an option for the visitors to leave comments. The blog writers appreciate people leaving comments on their posts simply because when people are interacting with their content, it sends a message to the world of search engines and to the new visitors & readers that the content they put out is engaging and stimulating enough for the people. Now, need we tell you the kind of benefit it brings for the content creator or the blog owner? Now, when you are visiting a blog and decide to leave a comment of your own, you would usually have the option connect your own website link to the reply or comment you are leaving there. In fact, most of the time you can even link to other items including your Facebook page or your Twitter page. Carve out about 30 minutes a week in your schedule to browse the latest columns, articles, or even blog posts on the sites that you favor and write carefully drafted comments that have just the right keywords in it. However, you would need to have patience here, because it is only gradually that the value offered through your insights would work hand in hand with the link back to your website would bring in some traffic and unleash the power of SEO in your favor. 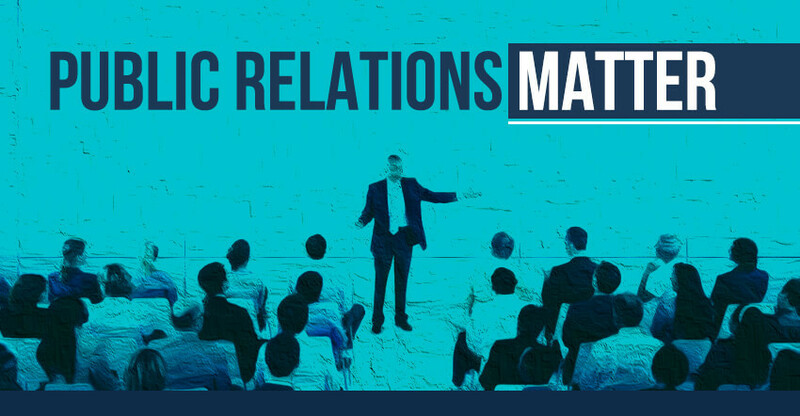 No matter which field of business you are involved in, and which cadre or scale you belong to, networking is something that brings in immense value for everyone. Outreach marketing is the online version of this ever-important aspect of networking. Outreach marketing essentially involves creating connections with the other people in your business category, including the bloggers and influencers in order to promote your business website in some manner, kind, or form. How this begins is by identifying or figuring out the targets that you might need for the goals that you have set out to achieve and attain for the promotion of your business website. Once you have figured out and decided upon the targets or the right kind of influencer and other entities that you want to reach out to and send out a pitch and have a carefully timed plan of follow ups. You can send out this pitch through an email address or through social media, but the point here is to decide which of them would prove to be a better connection when it comes to getting attention from your targeted users. You must remember that the idea behind this whole concept is to forge a long-term relationship, and through it receive exactly the kind of exposure that you wanted to garner for your own business website. However, it is important to not get carried away and overdo it! When you are looking for ways to promote your business website, do not hesitate to engage in a bit of shameless self-promotion from time to time. While it might not be something you appreciate or be comfortable doing, it is something that tends to work pretty well. Finding the right forums for this self-promotion might actually prove out to be a great way to get your website exposed to a whole new audience group that might not have come across your website in any other way. Pick an active and buzzing platform and post your own threads and wait to see whether people are actually upvoting, retweeting, or re-blogging you. Apart from this, you can also get into an existing thread that is relevant to you, your business, and your website and at the right time throw in your website link in the right context. Again, no use getting carried away and be tagged as a spammer, that’s just not going to help you in anyway. Choose the forums wisely, because it is going to be more beneficial for you to be a part of a forum that has like-minded or targeted user groups on it as compared to popular forums where you would not find many people interested in what you have to offer them. Going to the right forums, engaging in the appropriate threads would let you reach exactly the right kind of audience in a more casual yet intimate manner. An artist always needs to sign their work. It is not about an alter ego that is looking for appreciation, in fact it is something that lets people know what they are capable of, and what they can do. In business and in the online world particularly, it is equally, if not more important to add a signature to your emails. This technique is in fact one of the most convenient and free of cost technique that can get the receiver to venture out to take a look at any blog or website. Surprisingly, however, it is also one of the most overlooked and underutilized techniques as well! The emails that you are sending out to the current customers or even prospective customers or virtually anyone else on the planet needs to have a well-designed standard footer that describes your business and what it can do. This signature at the bottom of the email needs to have certain standard elements including your name or the name of your business, title or designation, or something quirky and interesting about you or the business you represent, and the different ways in which they can get in touch with you or the business you represent, should they wish to. Along with all these standard elements, the footer must also include the links to your website, blog, or any other pages like social media pages or profiles that you might want people to explore and read. At the end of it, you can use a text anchor link which would spell out the action like “Build an app with Appy Pie” or you can go ahead and spell out the link and begin with the letters http so that the link looks like this https://www.appypie.com/. This will be visible in text-based web mail browsers as well as a live hyperlink in most of the email programs. The thing about emails is that they are forwarded, copied, or otherwise shared and you never know the potential of its reach taking you to new and unchartered territories when it comes to bringing exposure for your website. Humans in general are very visual. This means that no matter how great the text that you put on your website might be, if you do not fortify it with the right kind of visual content or advertise it on the right kind of forums, you are not going to be able to expand your reach to the maximum. The visual content however, is not just limited to putting gup great and optimized images on your website pages. While this is important, you must remember one of the most powerful visual mediums today – the video. YouTube has a wonderful provision for small businesses who are looking for ways to promote their business and their websites on the online realm without having to cough up any money. It lets you distribute creative promotional videos which you can use to promote your website for free! 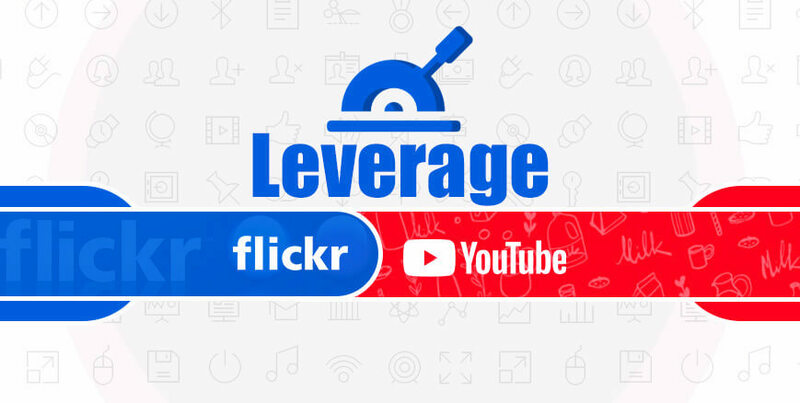 However, if you are looking to meet any kind of success using this medium you would need to make sure that these videos you distribute has content that the right kind of viewers would want to watch and is of relevance to your core business. Just creating an ad video is not going to do much for you here! Similarly, a Flickr profile can do wonders for you and help you by giving you one comprehensive space to compile all the photos for your business while letting you conveniently link back to your website!